“Oh I love a rainy night!” Seriously, I do. It is not out of the question for me to go to bed early simply so I can fall asleep to a thunderstorm. Conversely, it is also not out of the question for me to stay up late to watch the lightening. Curling up in my favorite chair with my book, a pot of tea, and a snack is one of my favorite ways to spend an afternoon. Add in a rain storm, this little girl so firmly entrenched in her happy place you would need a fork lift to get her out. Growing up, our house had a tin roof. The sound of rain pinging off it was my favorite lullaby. Big kid goal, I will have a tin roof just so I can listen to the rain again. We also had a hill of a driveway which in winter was a pain to shovel but in summer made for the most magical place to watch a storm. I remember Mom yelling at me to get inside before I got hit by lightning or something more than once. Gosh, she is such a worry wart. I would lie down at the bottom of the hill and stare up at the sky. If it was really down pouring, I could feel the river of water rushing around me as it flowed down to low ground. If it was really windy, the trees would thrash about, bending and swaying as if dancing. After a while, I would close my eyes and just feel the cold rain drops hitting my face. It was like a guessing game of where they would tickle next. I would stay out there till the storm ended or my fingers went numb, whichever came first. These days, I have no hilly driveway to lie on. But, I do have a dog who loves the water. 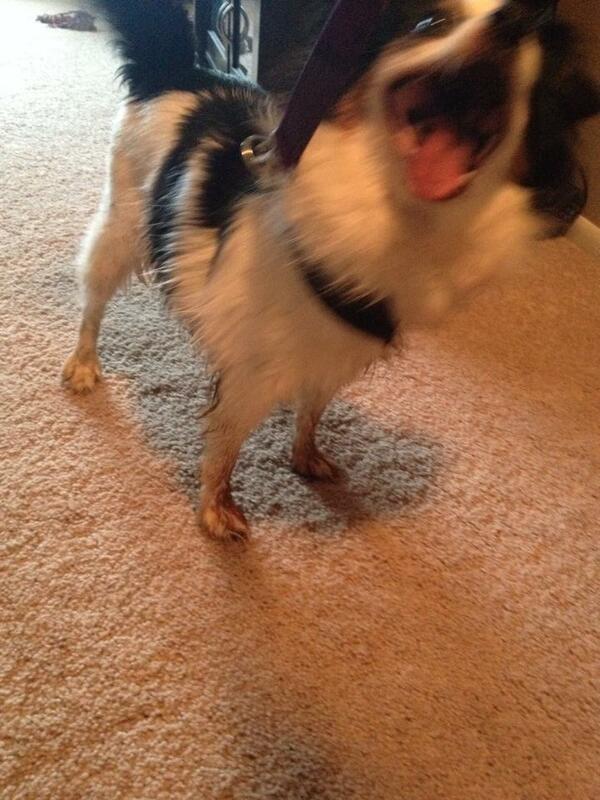 Penny “The Puddlestomper” Foster and I have been known to find all the puddles on our street and jump in them. My neighbors think I am weird. I really don’t care, I mean they are right! So crazy me and crazy dog will keep right on puddle stomping till it gets too cold to go barefoot. Then we will just have to make snow angels instead.